So you’ve started your new business and you think the hardest part of the work is done? Well, not quite. The hardest part is yet to come but first, you need to know how to set up a business website. Having a good start is what can make the following years a lot easier for you. One of the first things you need to ask yourself when launching a new business is how to make a website to attract new customers and present your work in the best way possible. Having a good business website can easily make or break your business, but that doesn’t mean that creating a website has to be expensive and complicated. All you have to do is simply know where to start and then follow a few simple tips and tricks that will help you make a free website which will truly serve its purpose and make it easy for the potential customers to find you. If you have no idea how to build a website, don’t worry. 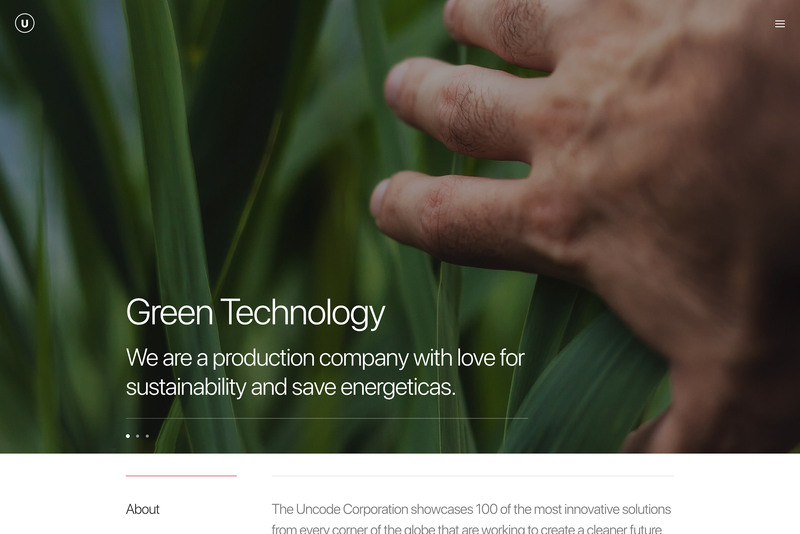 There are some amazing website-building themes out there, such as Uncode. Uncode enables you to create a website with great attention to detail, while at the same time saving you tons of time. All you have to do is have a clear idea in your mind as well as a plan for your website and then stick to it to the very end. Here are the most important steps that should help you get there fast and easily. Before you start building a website, you need to have a clear goal in your mind and then create a website around it. If you don’t know what you want to achieve by making a website or even if you have too many goals on your mind at the same time, there is a good chance that it will be a complete waste of your money. After all, you can’t expect a business website to serve its purpose if you aren’t even sure what that purpose is. The visitors need to understand the purpose of your website the moment they open the home page because you want them to know they have come to the right place. 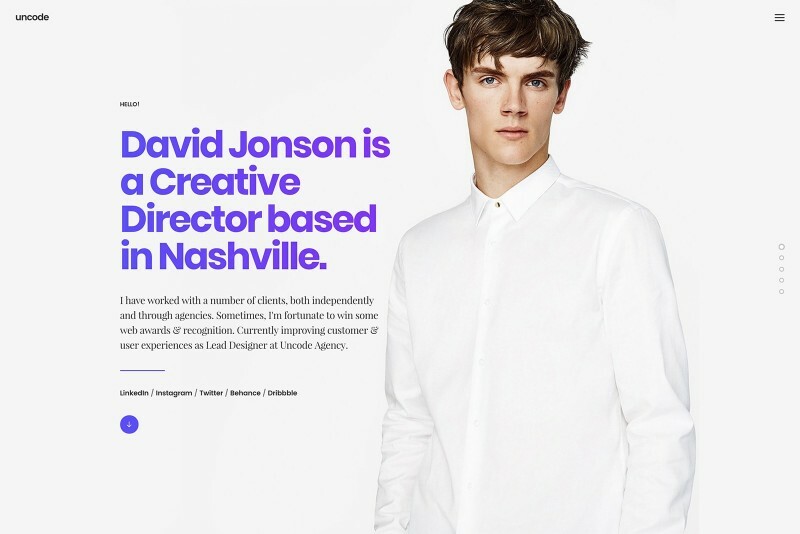 Stating your vision and mission on the homepage is a good start. Just make sure it is short and clear, as well as easy to find. Try to look at your website from the perspective of a potential customer. If you are not quite sure how to create a website, think about the customers, what they would want to see on your business website and make it clear what it is that you can offer to them. Utilizing CTAs is very useful because it compels the visitors to take the logical next step on a new website. Make a website with useful CTAs such as signing up for a newsletter, shopping for your most popular products, and similar. It makes navigation much easier and it also takes the customers where you want them to go. You can easily make your own website once you have a certain page hierarchy in mind. Not everything you have to say will be displayed on the same page so you need to figure out how to categorize your content across all the pages, which pages you want people to see first etc. Once you know what you’re doing, it is easy to create a website for free. More and more people use their phones and tablets to browse the internet so if you want to build a website, you have to make sure that it looks and works equally as good on all devices and platforms. Create a free website and then test it on multiple devices to make sure it runs smoothly. If you decide to create your own website, keep in mind that one of the main purposes of a business website is making it possible for people to find you and to contact you. With that in mind, make your contact information as easy to find as possible. Now that you know how to make your own website, you need to make sure that all the information is accurate and that there are no grammatical errors. Proofread each page during the website building and then check it out every now and then to make sure all information is up to date. Having a strong web content can be the thing that sets you apart from your competitors and makes your business website truly stand out for all the right reasons. Crafting and periodically adding interesting new content such as helpful articles, new experiences etc. will demonstrate your credibility and automatically make you seem more reliable and passionate about your work. Don’t go overboard with big blocks of text because not all users are passionate readers. Most of the web users will quickly scan your homepage to see what you have to offer so don’t bury the most important information under too much text. Combine different types of content for the best results. Don’t limit yourself to articles only; combine videos, images, slideshows, and whatever else you can incorporate into your website to offer richness. You know how to make your website for free but you are still not sure how to design a website that will “get the job done”? The key is the balance between a beautiful design and a good functionality. Basically, if your business website is pretty but impractical it will be equally as bad as the one that is very practical but bad-looking. Useful content – Don’t fill your business website with a bunch of useless information because it will get the users frustrated. Keep everything clear and brief and offer only the information that can benefit the user. 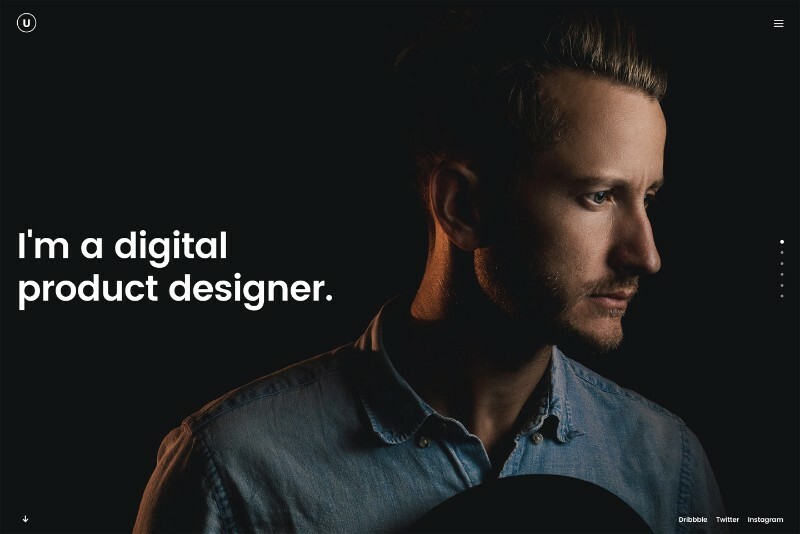 Easy to use – Being creative is great as long as you don’t start complicating things and make your website almost impossible to use for a first-time user. Keep things simple and logical, and build your own website that is easy to navigate. Once you are all clear on how to create a website for free, you also need to make sure that the users can actually find the website on the internet or all of your hard work will be in wain. SEO is never to be underestimated so design your own website and then push traffic to it! There are millions of different sites on the Internet and it is very easy to get lost in that sea of websites out there. Make sure search engines can find and display your business website – the higher the better. SEO – How to Do It? Keyword Optimization – do a bit of research and find the relevant keywords for your target market. Once you know which keywords you should use, incorporate them into your business website without forcing it and making them seem unnatural. Link Building – once you know how to build a website from scratch, you should consider building inbound links to more popular websites because search engines will recognize them and rank you higher. Optimize Site Technology – Avoid using technologies that the search engines cannot read, for example, Flash. Instead, use languages like HTML. If you aren’t sure how to make a free website or how to create your own website, you have come to the right place. Now, after reading this article, you must be well-equipped to do so. 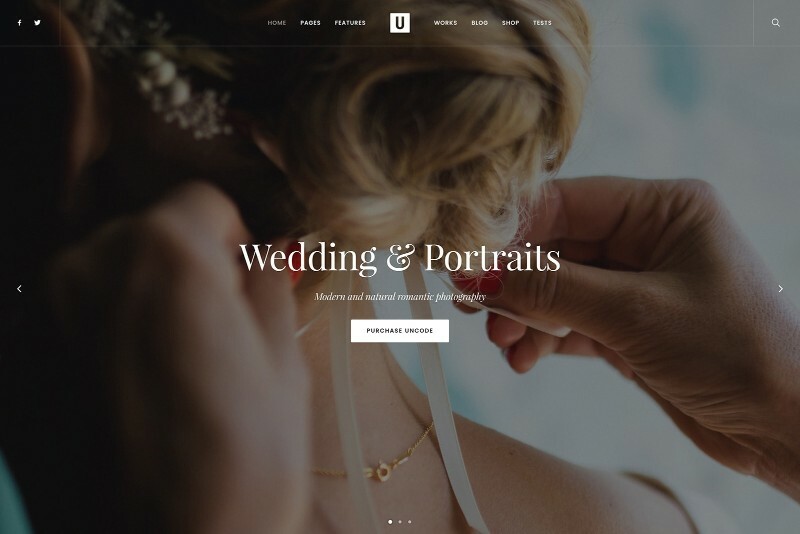 With a high-quality WordPress theme like Uncode in your hands, you will be able to create a stunning and engaging website in a breeze. While at it, try out some of the interesting and unique features, such as shape dividers and different menu variations. Having a good business website is very important for almost every business and you can build a free website easily if you know where to start and what to focus on.